Contact Regina Humane Society Cremation Services to discuss your pet’s cremation arrangements. Our professional staff will be happy to work with you to ensure that your special friend will never be forgotten. Our pets have given us so much love, joy, comfort and unfailing friendship. The Regina Humane Society provides respectful pet cremation services to Regina and surrounding communities. 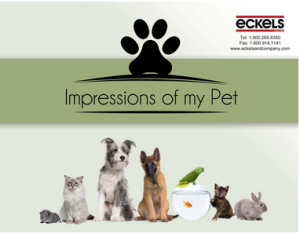 We take pride in assuring that your companion will be treated with the utmost dignity and respect. The Regina Humane Society understands the integral role your pet has played in your life and your desire to keep their memory alive. Cremation is the age-old traditional method of reducing a loved ones remains. The pet is gently laid in our cremator. The door is shut until the cremation is complete; usually 2-3 hours. Your pet’s individual remains are collected and placed in an urn chosen by you. Your pet is cremated in an individual vessel – their ashes kept separate from those of other pets. They are returned to you in an urn, or container of your choice. Rest assured that the remains you will receive are those of your pet. When we lose a loved one or a cherished animal companion, we find comfort in celebrating their lives in a meaningful way. Proceeds from cremation services help provide a second chance at life and love to homeless pets in our community. By making an In Memoriam donation to The Regina Humane Society, you can pay tribute to a loved one while restoring hope to animals in need. Can I bring my pet to the Humane Society myself? Absolutely. Anyone can transport his or her pet to us from home or a veterinary clinic. If you prefer, the Regina Humane Society will pick up your pet from the vet. The time involved for an individual cremation depends on the size of the family pet. Your pet’s remains will be ready to be picked up 7-14 days after they have been received by the Regina Humane Society. Two day service is also available. Some people keep an urn with their pet’s ashes in a special spot in the home. Others bury the urn, and still others scatter the ashes. We have a full line of high quality and affordable urns, memorials and scatter boxes to choose from. Catalogs are available from the Regina Humane Society and most vet clinics. Cremation is available for pets weighing up to 150 pounds. Prices are based on the size of the pet. These prices do not include your choice of urn. Let our caring staff provide your beloved pet with the arrangements they deserve.